The Letters to the Church Video Series walks with this generation showing what it can look like to be the Church God desires. Join Francis as he takes you on a journey through the chapters of Letters to the Church hear his heart for the Bride of Christ and join him as he leans in to God's desire for the Church. You'll also see first-hand stories of transformation and be encouraged that you too can pursue God's heart for His Church. See the difference you can make right where you are. Francis Chan is the best-selling author of Crazy Love Forgotten God Erasing Hell Multiply and You and Me Forever. Currently Francis is planting churches in the San Francisco area. Together Francis and his wife Lisa are raising their seven children in Northern California. 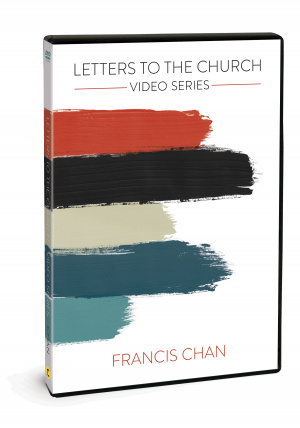 Letters To The Church DVD by Francis Chan was published by David C Cook in October 2018 and is our 1738th best seller. The ISBN for Letters To The Church DVD is 9780830776467. Be the first to review Letters To The Church DVD! Got a question? No problem! Just click here to ask us about Letters To The Church DVD.